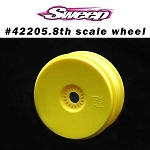 Sweep Racing USA CELLBLOCK 8th Scale buggy tires Blue dot, BEST TRACTION! RUNS by CHAMPIONS! 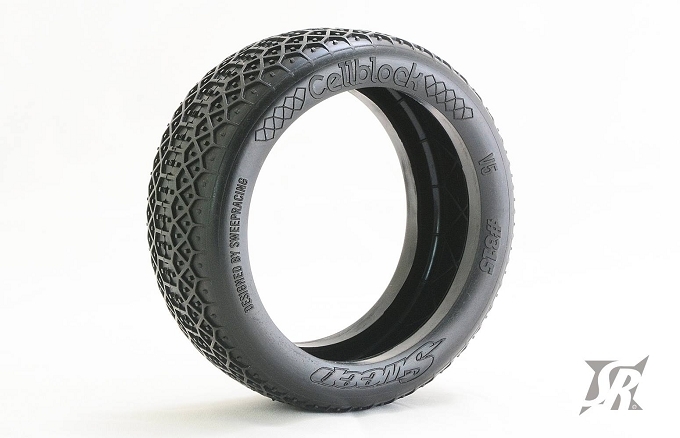 New 1/8th buggy tire, CELLBLOCK. The Cellblock has been developed for clay or hard-packed track and blocks surface. 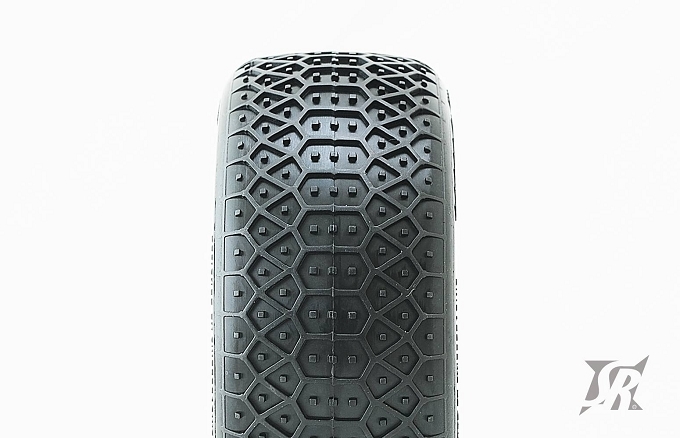 It is designed on V5 carcase as latest Defender tyres wich provide easy driving on bumpy tracks. . 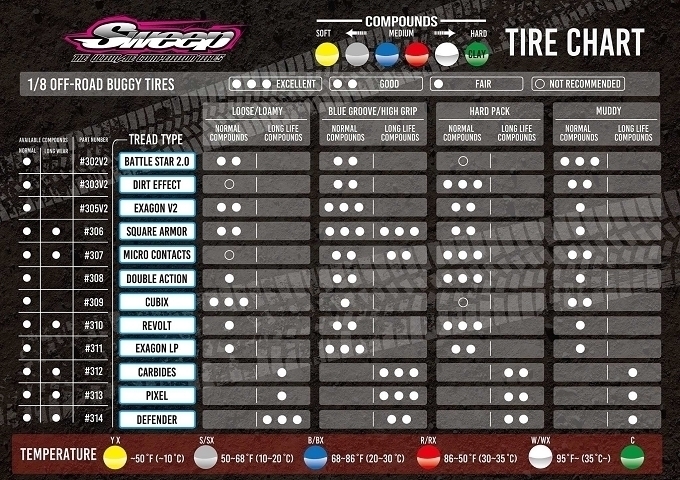 Available YX SX BX RX WX long lasting compounds as well.